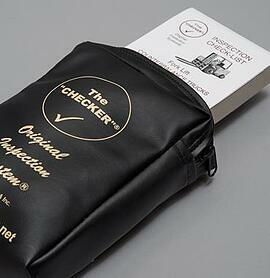 The Checker is the easiest to use, most accurate and complete Checklist Book on the market. Properly inspecting commercial equipment is a key part of keeping workplaces safe, maintaining compliance, and improving productivity. But to ensure inspections are done as they should be, you need inspection checklists. Since 2000, The Checker Inspection Checklist Books have well used in every industry making inspections more efficient and effective. Over 17 million inspections have been conducted using our simple but comprehensive checklists. Our Checklists are specifically designed to inspect virtually anything used in your business with a high level of detail and accuracy. What sets The Checker apart from other inspections checklists? Our Checklists have five features that encourage personnel to buy in to inspecting equipment properly—giving you results, not complaining and indifference. Our Checklists are designed for specific types of equipment and vehicles, with all necessary inspection items included for each particular equipment/vehicle type, described with precise terminology. All Checklists are visually simple and clear so employees can easily locate inspection items and see what needs to be inspected. Rather than alphabetize items, or list them arbitrarily, we organize the inspection items on each Checklist in a way that’s practical to the people doing the inspections in the field. The Checker was created by safety professionals and reflects our practical experience with how inspections can be done most effectively and efficiently. Gain the benefits of The Checker now! 150 checklists per book (6-7 month supply for single-shift operations), with a copy that stays in the book and a carbonless tear-out. Mountable storage pouches for the books are available. In addition to inspections, the Checklist format is perfect for conducting audits and safety walk-arounds. 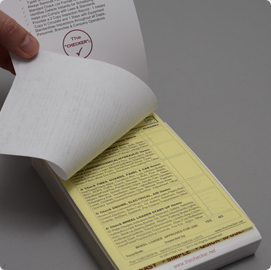 The Checklists can be used to train employees how to properly inspect equipment before use. The inspection information gathered provides valuable guidance to management, maintenance, and safety personnel. Designed specifically for The Checklist Books. Perfectly sized, sturdy, and mountable in vehicles or on walls, I-beams, etc. for convenient access. Can be personalized with your logo. Includes Velcro-style, hook-and-loop, heavy-duty mounting strips.